LONDON, Apr 19, 2010 (BUSINESS WIRE) -- Electronic Arts Inc. (NASDAQ:ERTS) and Renault announced a multi-year agreement that will enable players of The SimsTM 3 PC/Mac to integrate Renault's forthcoming range of electric vehicles into one of the world's most successful entertainment franchises across Europe, the Middle East, Africa, Latin America and Asia. 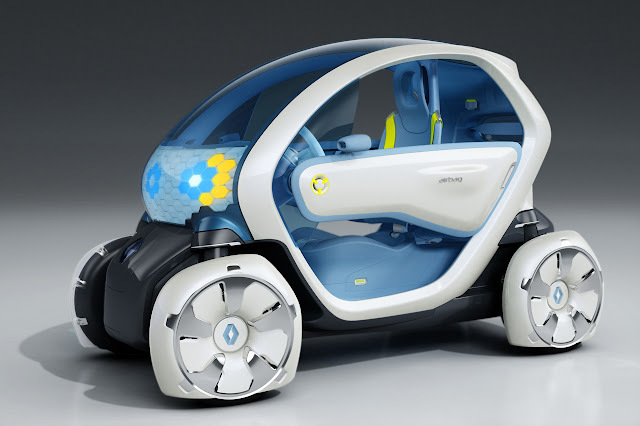 This spring, Renault's Twizy Z.E Concept car - will be made available to download free of charge by The Sims 3 players within an Electric Vehicle Pack (EVP), which will comprise a number of sustainable environmental items including solar panels and a windmill. The use of the EVP inside The Sims 3 will have positive repercussions for a player's in-game family by reducing their weekly virtual household bills. "This partnership delivers benefits for Renault and the consumer that are unique in today's media landscape," said Elizabeth Harz, Senior Vice President of Global Media Sales for EA. 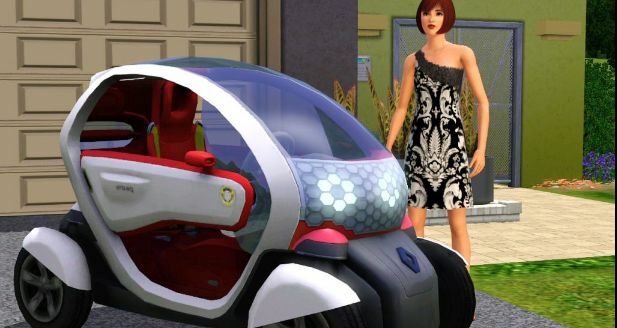 "Millions of The Sims 3 players will be able to download Renault concept vehicles and have a deep experience with the brand, while receiving genuine added gameplay value." "The Sims 3 players have demonstrated consistent enthusiasm for bringing cool 'real world' brands into their virtual world," said Steve Seabolt, VP of Global Brand Development for The Sims. "We're excited to work with Renault on their electric vehicles and have them available for download for The Sims 3." "Electric vehicles are going to appeal to younger, more socially conscious customers and especially early adopters," said Stephen Norman, SVP, and Global Marketing for the Renault Group. "This is the heartland of The Sims 3 community and it thus provides a great innovative way to build the Renault Brand just ahead of the Renault range of affordable electric vehicles themselves." This partnership was negotiated by OMD Fuse International on behalf of Renault. The Sims franchise celebrates its ten year anniversary this year and an impressive more than 125 million units sold since its launch in February 2000. Now translated into 22 different languages and available in 60 different countries, The Sims has quickly become a universal gaming and cultural phenomenon. Since its June 2009 launch, The Sims 3 has sold more than 4.5 million copies worldwide to date and holds the #1 best-selling PC title for 2009 in North America and Europe. Fan intensity is evidenced through the 130 million downloads of player created content including: Sims, houses, stories and more. The Sims 3 community site, http://www.thesims3.com/ welcomes up to four million unique visitors monthly, handles 300 content downloads every minute and nearly 2 million uploads have been made to date, including 20 movies each hour. The Sims 3 YouTube Channel is in the top ten most viewed sponsored channels of all time with more than 28 million video views. Visit The Sims 3 official website to see what the players are creating at http://www.thesims3.com/ or the official YouTube Channel for The Sims at https://www.youtube.com/user/TheSims. Electronic Arts Inc. (EA), headquartered in Redwood City, California, is a leading global interactive entertainment software company. Founded in 1982, the Company develops, publishes, and distributes interactive software worldwide for video game systems, personal computers, wireless devices and the Internet. Electronic Arts markets its products under four brand names: EA(TM), EA SPORTS(TM), EA Mobile(TM) and POGO(TM). In fiscal 2009, EA posted GAAP net revenue of $4.2 billion and had 31 titles that sold more than one million copies. EA's homepage and online game site is https://www.ea.com/. More information about EA's products and full text of press releases can be found on the Internet at https://www.ea.com/. EA, EA SPORTS, EA Mobile, POGO and The Sims are trademarks of Electronic Arts Inc.
Electric vehicles represent the clean-break solution that can put zero-emission mobility within everybody's reach. In line with the brand's Renault-eco2 environmental policy, Renault ZE electric vehicles are poised to be marketed on a large scale with a view to taking a decisive stand on the environmental front. This clean break already possesses significant political support around the world in the form of tax incentives based on CO2 emission savings, as well as infrastructure development for electricity-based mobility. Renault will be selling affordable mass-production electric vehicles from 2011. Visit the Renault Z.E. official website at http://www.renault-ze.com/. Twizy Z.E. is the definitive city-car for busy people seeking an efficient and practical means of mobility. It is an innovative response to the challenge of urban mobility. With its four-wheel chassis, Twizy Z.E. offers the driver and passenger - seated one behind the other - an all-electric means of transport, which produces no CO2 emissions. Twizy Z.E. is an all-electric vehicle aimed primarily at busy city dwellers who need to pick their way through the urban jungle. Every day, they juggle work commitments with a busy social life, so efficiency, speed and simplicity are key. The ultra-compact dimensions of Twizy Z.E. (2.30m in length, and just 1.13m wide) ensure that it is nimble enough for urban use. The four-wheel arrangement, open bodywork and a seat format which puts the driver and passenger behind one another express Twizy Z.E. 's distinctive character.